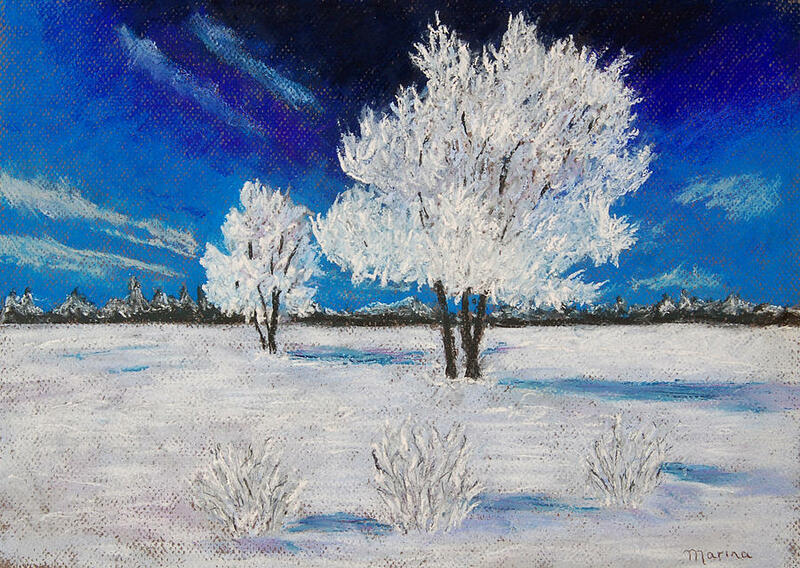 Snow Scene is a pastel by Marina Garrison which was uploaded on April 27th, 2010. This painting was my first foray into snow and it wasn't until I painted it that I truly appreciated all the colors that are reflected in snow. The sky was so blue in the middle of Winter that the snow was actually reflecting bright blue in places. I really like this painting, reminds me of Central Oregon when the frost builds up on the branches.